What happens when having it all proves too much to handle? In this “fresh, funny take on the age-old struggle to have it all” (People) a wife and mother of three leaps at the chance to fulfill her professional destiny—only to learn every opportunity comes at a price. “A winning, heartfelt debut” (Good Housekeeping), A Window Opens introduces Alice Pearse, a compulsively honest, longing-to-have-it-all, sandwich generation heroine for our social-media-obsessed, lean in (or opt out) age. Like her fictional forebears Kate Reddy and Bridget Jones, Alice plays many roles (which she never refers to as “wearing many hats” and wishes you wouldn’t, either). She is a (mostly) happily married mother of three, an attentive daughter, an ambivalent dog-owner, a part-time editor, a loyal neighbor and a Zen commuter. She is not: a cook, a craftswoman, a decorator, an active PTA member, a natural caretaker, or the breadwinner. But when her husband makes a radical career change, Alice is ready to lean in—and she knows exactly how lucky she is to land a job at Scroll, a hip young start-up which promises to be the future of reading. The Holy Grail of working mothers―an intellectually satisfying job and a happy personal life―seems suddenly within reach. Despite the disapproval of her best friend, who owns the local bookstore, Alice is proud of her new “balancing act” (which is more like a three-ring circus) until her dad gets sick, her marriage flounders, her babysitter gets fed up, her kids start to grow up, and her work takes an unexpected turn. In the midst of her second coming of age, Alice realizes the question is not whether it’s possible to have it all but, what does she really want the most? “Smart and entertaining…with refreshing straight-forwardness and humor” (The Washington Post), “fans of I Don’t Know How She Does It and Where’d You Go, Bernadette will adore A Window Opens” (Booklist, starred review). In my book, January and February are just frozen appetizers for the fillet of the year, which arrives in March, when you can finally wear a down vest to walk the dog. That’s when I commit to my annual resolutions: become more flexible in all senses of the word, stop snapping at my family, start feeding the parking meter, take wet laundry out of the machine before it mildews, call my mom more, gossip less. Throughout my thirties, the list has remained the same. On this particular sunny and tentatively warm day, I was driving home from spin class, daydreaming about a pair of patent leather boots I’d seen in the window of a store near my office. They were midheight and semi-stylish, presentable enough for work, with a sole suited for sprinting through the aisles of the grocery store. Maybe I recognized a little bit of myself in those boots; after all, I fit the same description. When I stopped for a red light in front of the high school, my phone lit up with a photo of Nicholas. The snapshot was three years old, taken on wooden bleachers at the Y while we were waiting for our son, Oliver, to finish basketball practice. Splayed across Nicholas’s chest was the paperback edition of The Cut by George Pelecanos; while he grinned at my then new iPhone, our daughters, Margot and Georgie, each leaned in and kissed one of his cheeks. I watched as a group of high school kids trampled the crocuses with their high-tops and Doc Martens. The light turned green. I felt a slow blossom of anxiety in my throat. When someone starts talking about the conversation in the third person, you know it’s not going to be pretty. “I can’t . . . You know what?” I heard a noise in the background that sounded like a big stack of papers hitting the floor. “Actually? I’m coming home. I’ll be on the 11:27 train. See you soon.” There was a strain in his voice, as if someone had him by the neck. Suddenly, I felt chilly in my sweaty clothes. I distractedly piloted my minivan down Park Street, past a church, a temple, a funeral home, and a gracious turreted Victorian we’d lost in a bidding war when we first started looking for houses in Filament. My mind raced with possibilities: Nicholas’s parents, my parents, his health, an affair, a relocation. Was there any chance this urgent conversation could contain good news? A windfall? What was so important that Nicholas had to come home to say it to me in person? In the seven years we’d lived in New Jersey, he’d rarely arrived home before dark, even in the summer, and most of our daytime conversations took place through an intermediary—his secretary, Gladys, doyenne of the Stuyvesant Town bingo scene. I called Nicholas back as soon as I pulled into the driveway of our blue colonial. When the ringing gave way to voice mail, I suddenly felt dizzy, picturing the old photo pressed to my ear. The girls had grown and changed since then—Margot’s round face chiseling down into a preteen perma-scowl, Georgie’s toddler legs losing their drumstick succulence. But what struck me was Nicholas’s jet-black hair. It had been significantly thicker in those days, and a lot less gray. I couldn’t remember the last time I’d seen him kick back with a book, let alone look so relaxed. I spent the next hour repairing damage wrought by the daily cyclone of our kids eating breakfast, getting dressed, and supposedly cleaning their rooms but really just shoving socks, towels, and Legos under their beds. Eggshells in the garbage disposal, Leapin’ Lemurs cereal in the dustpan, Margot’s tried-on-and-discarded outfits directly into her hamper even though I knew they were clean. I filled out class picture forms—hadn’t I already paid for one round of mediocre shots against the backdrop of a fake library?—and called in a renewal of the dog’s Prozac prescription: “His birthday? Honestly, I have no idea . . . He’s not my son! He’s my dog!” Cornelius lifted his long reddish snout and glanced lazily in my direction from his favorite forbidden napping spot on the window seat in the dining room. I kept checking my phone, hoping to hear from Nicholas, but the only person I heard from was my dad. Ever since losing his vocal cords to cancer, he’d become a ferocious virtual communicator. His texts and e-mails rolled in at all hours of the day, constant gentle taps on my shoulder. The highest concentration arrived in the morning, while my mom played tennis and he worked his way through three newspapers, perusing print and online editions simultaneously. Many messages contained links to articles on his pet subjects: social media, the Hoyas, women doing it all. That day, in my state of anticipation and dread, I was happy for the distraction. Dad: Dear Alice, do you read me? Dad: Just wondering, are you familiar with Snapchat? Me: Sorry, not sure what this is. Dad: Reading about it in WSJ. Like Instagram, but temporary. Pictures only. No track record. Me: I’m not on Instagram either. Have nothing to hide anyway. Dad: I can educate you. These are great ways to stay connected. Me: I’m on FB. That’s all I can handle. Dad: Yes, but why no cover photo on your timeline? Dad: Hi, are you still there? We live four houses from the station, so I headed over as soon as I heard the long, low horn of the train. By the time I’d walked by Margot and Oliver’s school and arrived at the steep embankment next to the tracks, Nicholas was already on the platform. He looked surprisingly jaunty, with his suit jacket hanging from his shoulder like a pinstriped cape. He kissed me on the cheek—a dry nothing of a peck that you might give to someone who baked you a loaf of zucchini bread. He smelled like the train: newsprint, coffee, vinyl. I shivered inside my vest and pulled him in for a tight hug, wrapping my arms around his neck. Nicholas sighed. Now I smelled mint gum with an undernote of—beer? Was that possible? The train pulled out of the station and we were the only two people left on the platform. I was vaguely aware of a gym class playing a game of spud on the school playground behind us. “I called it and he moved!” “I didn’t move, she pushed me!” Nicholas leaned down to put his leather satchel on the ground. It was a gift from me for his thirtieth birthday: the perfect hybrid of a grown-up briefcase and a schoolboy’s buckled bag. As he straightened his back, his green eyes met mine. He put his hands through his hair and I thought of the photo, my chest tightening. At first, the news came as a relief. A problem at work was small potatoes compared to a secret second family or an out-of-control gambling problem or the middle-age malaise of a friend’s husband who said, simply, “I don’t feel like doing this anymore,” before packing a backpack and moving to Hoboken. Then: the lead blanket of disappointment descended gently but firmly, bringing with it a sudden X-ray vision into our past and our future. The summer associate days when we dined on Cornish game hen and attended a private Sutherland, Courtfield–sponsored tour of the modern wing of the Met; the night Nicholas’s official offer letter from the firm arrived, when we climbed a fire escape to the roof of our apartment building and started talking—hypothetically, of course—about what we would name our kids; the many mornings I’d woken up to find him, still dressed in clothes from the day before, with casebooks, Redwelds, and six-inch stacks of paper scattered willy-nilly across the kitchen table. You don’t know how big a binder clip can be until you’ve been married to a lawyer. What next, if not this? I pictured Win in his spindly black chair with its smug Cornell crest, how he would have smoothed a tuft of sandy hair over a bald spot that was permanently tanned from a lifetime of sailing on Little Narragansett Bay. Who names their kid Win, anyway? Not Winthrop, Winston, or Winchester, just Win. I was proud to come from a family where all the men are named Edward. “Nicholas, is this even legal?” I grabbed his hand and pointed us in the direction of home. The swings on the playground were empty, swaying lazily in the breeze by their rusted chains. Sadness kicked in at the sight of them. Hadn’t Nicholas given up enough for this law firm? How many times had I watched him knot his tie, lace his dress shoes, and board the train on a Saturday? How many vacations had been interrupted by urgent calls from clients and arbitrary deadlines from partners? Nicholas kept going, spelling out the logistics of how these decisions are made and the arcane, draconian methods law firms use for meting out information to their unsuspecting workhorse associates. But I already knew the drill. My dad was a retired partner at another midtown law firm; I grew up hearing about the personality quirks and work ethics of candidates who didn’t quite make the cut. There had been eighty aspiring partners in Nicholas’s so-called class at Sutherland, Courtfield; by the time they were officially eligible for lifelong tenure—the proverbial golden handcuffs—they would be winnowed down to five, at most. Even knowing this, I’d never imagined Nicholas would be part of the reaping. By this point, we were in our kitchen, where Cornelius wove among our legs, whimpering anxiously as if he sensed the tension. I made a fresh pot of coffee that neither of us would drink. Nicholas and I were rarely home alone without our kids, but my mind didn’t go where it normally would in such a situation. Georgie chewed the end of her scraggly braid, beholding us suspiciously with hazelnut (her word) eyes. “Okay, well, don’t do anything I wouldn’t do!” She turned on her heel and ran downstairs. The minute we heard the front door close, we picked up where we’d left off. Now Nicholas leaned against the counter, absentmindedly peeling the clear packing tape we used to hold our cabinets together. Our kitchen was in dire need of a facelift—the black-and-white checkered floor was so scratched, it looked like the loading dock at a grocery store. We’d been saving up for a renovation. “What?” I envisioned sand pouring through a sieve: vacations, restaurant dinners, movies, a new car, college savings, retirement— every iota of security spilling out and away. “I mean . . .” Now Nicholas opened the fridge and grabbed a bottle of beer. After he flicked off the cap, he lifted it by its brown neck and tilted the bottom in my direction in a gesture that telegraphed both “What have I got to lose?” and “Here’s looking at you.” I raised an invisible bottle of my own, although my mood was anything but celebratory. Even though he was a borderline teetotaler, I didn’t need to be told that this wasn’t Nicholas’s first beer of the morning. “I threw my laptop across the room.” He crossed his arms and closed his eyes briefly, as if to block out the reality of what he was saying, which was horrifying and surreal. An angry Nicholas was a silent Nicholas, icily folding laundry or staring straight ahead at the road for hours while driving. In all our years together, I’d never seen him throw anything except a ball and once, when we took a pottery class together, a tragically misshapen bowl. “Wait . . . what? I’m sorry. Did you just say you threw your laptop across the room?” My mind flashed on the possibility of having my own beer, but I thought the better of it—the last thing I wanted to do was arrive at school pickup with alcohol on my breath. A spark like that could ignite a firestorm of gossip whose fug would follow me for years; I’d seen it with a mom who was spotted at the Scholastic book fair with a tiny bottle of something in her satchel purse. It could have been hand lotion or hair spray (this being New Jersey, after all), but the die was cast. The woman was never invited to be a class parent again. “That’s something.” No mess to clean up, no injuries. Still, I felt a little light-headed. I closed my eyes and pressed my index fingers onto their lids until I saw orange kaleidoscope patterns. We both laughed, halfheartedly. Nicholas tilted his head back and took a long swig from his beer. His neck looked smooth and young; he might have been twenty, pounding a Natty Light in the office of the college newspaper. “Wow. Nicholas! You’ve really thought this through.” I didn’t believe this, not for a minute. Nicholas and I are hardly models of perfect communication, but we keep each other in the loop when it comes to major decisions. I tried to sound cheerful, game for anything, but the truth is, I was petrified. I wasn’t sure if I was ready to up the ante on the work front. Our kids were still little. I loved my part-time job at You magazine. I worried that it would take years for Nicholas to start his own firm and that he was now unemployable thanks to this understandable but completely uncharacteristic violent outburst in his past. And just like that, the page turned. We were on to a new chapter. If March is the fillet of the calendar, this is the fillet of parenthood: that one, brief part of the day when lunchboxes are unpacked, bickering is suspended, and everyone smells like toothpaste. Margot didn’t move away when my thumb found the cleft in her chin, and I didn’t flinch when Oliver’s bony shoulder wedged painfully into my spleen. Georgie pulled her knees underneath her stretchy Tinker Bell nightgown and sidled further up the bed to make more space. 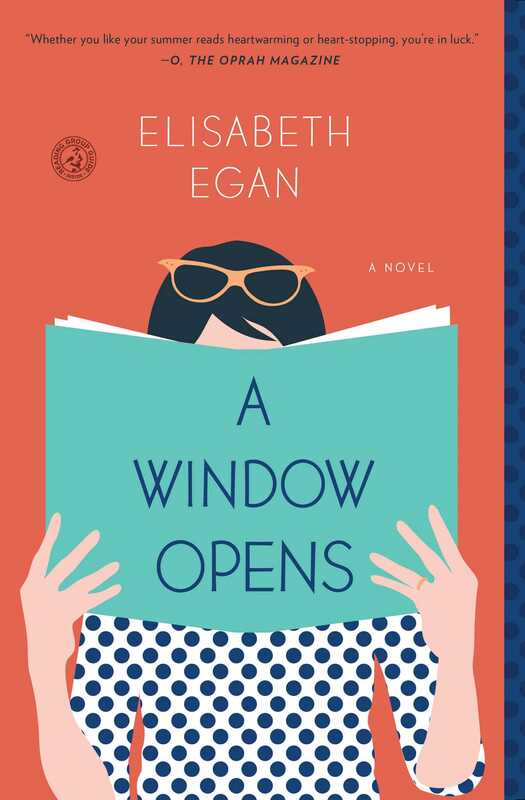 This reading group guide for A Window Opens includes an introduction, discussion questions, ideas for enhancing your book club, and a Q&A with author Elisabeth Egan. The suggested questions are intended to help your reading group find new and interesting angles and topics for your discussion. We hope that these ideas will enrich your conversation and increase your enjoyment of the book. When her husband makes an unexpected (and worrisome) career move, Alice Pearse leaves her beloved part-time job as books editor at You magazine for a more lucrative position at Scroll, a trendy start-up that promises to be the future of reading. As this mother of three settles into her new job, she believes that she might finally be able to “have it all.” But suddenly, she finds herself awash in corporate lingo and acronyms, on the receiving end of a never-ending stream of inscrutable e-mails and spreadsheets. She’s a suburban mom among Brooklyn hipsters, a stranger in a strange land. Worse still, there is never, ever enough time: for her kids, whom she only ever sees in their pajamas; for her parents, who are struggling with life-altering issues of their own; or for her husband, a former teetotaler who seems to have taken up drinking as an alternate career path. When Alice steps away from her laptop long enough to take inventory of her life, she realizes she might have been asking the wrong question all along: It’s not about whether or not she can have it all, it’s about finding out what she really wants. In this heartbreaking and hilarious story of one woman’s struggle to be everything to everyone, Elisabeth Egan gives her readers a candid and relatable tale about the challenges of seeking that elusive concept called balance. 1. At the beginning of the book, Alice says that a page has turned; she and her husband are “on to a new chapter” (15). What events lead to this new chapter, and what impact do they have on the Pearse family? How do they deal with the changes, for better or for worse? 2. How does Alice’s friend Susanna react when Alice tells her that she has decided to interview for a full-time job at Scroll? Why does Susanna respond as she does? How do you feel about Susanna’s reaction and about Alice’s decision to apply for a job that will almost certainly have a direct impact on her best friend? Do you feel greater sympathy for one of the characters in particular? If so, why? 3. What kind of pressures and challenges do the main characters face throughout the story, and how do they cope with them? Which methods seem to be the most effective for dealing with these obstacles? 4. How are technology and social media represented in the book? Are they presented positively or negatively—or does the author offer a mostly neutral view? Explain. 5. During Alice’s job interview at Scroll, one of the employees says that the company represents the “intersection of the past and the future.” What does he mean by this? Do you agree with his assessment? How do the characters in the book feel about the MainStreet Company and about Scroll? Are they mostly united in their opinions or is a variety of opinions offered? What seems to influence or determine the side each character takes on this issue? 6. 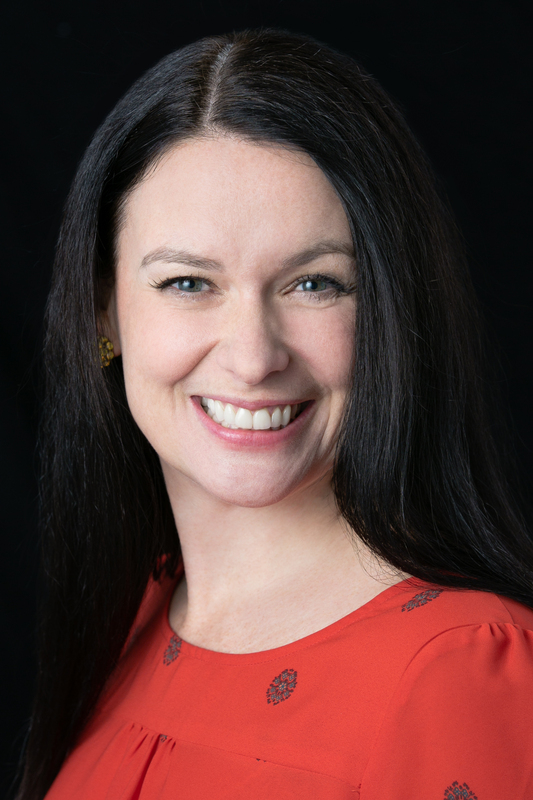 Genevieve recalls George Bernard Shaw’s maxim, “Progress is impossible without change.” What message does the book offer about the themes of progress and change? 7. A Window Opens offers a fresh take on the ways we communicate with one another as family, friends, and colleagues. How do the various characters communicate with one another throughout the story? Would you say that they are good communicators? Explain. How does the novel ultimately allow readers to understand and define “good” or “effective” communication? 8. At the anniversary party for Nicholas’s parents, an old friend gives a toast in which he says that the key to Elliot and Judy’s happiness has been their ability to change alongside each other. What does this mean in the context of this story, and how is it applicable in real life? 9. When Alice accepts the job at Scroll, the company allows her to choose a first edition of her favorite book. What book does she choose? Why do you think that she may have been interested in this book in particular? What books do the other employees choose? Are their choices surprising? Does the choice of one’s reading material seem to reveal any information about his or her character? Do you believe that your own book choices reveal information about your character? Discuss. 10. Alice frequently compares herself to other women. Do these comparisons help her in any way or are they more harmful than productive? Alice also frequently reflects upon the past, although she later recalls the popular advice: “Stay in the moment.” Does the book suggest whether or not reflecting upon one’s past is helpful, or does it advise living in the moment and letting the past be the past? Explain. 11. How do the characters in the novel cope with illness and grief? Do they each react the same way? How do people respond to news of the death of Alice’s father? How does Alice feel about their reactions? What does Alice find comforting or useful as she is grieving? 12. Why might the author have chosen the title A Window Opens for this novel? What does the title of the novel signify? Where is the title referenced in the book and what figurative examples of “ a window opening” are found throughout? How does the title reinforce or underline the major theme or themes of the novel? 13. What mistakes do the adult characters make, and how do they learn from and correct these mistakes? How do they respond to the mistakes of others? What messages does the book offer about failure, judgment, and forgiveness? 14. Alice writes a letter to her children’s long-time babysitter, Jessie, that she never delivers. What advice does she give to Jessie in this letter? What question or questions does Alice suggest people should ask when they reach adulthood? Do you agree with her advice? 15. Do you feel that Alice made the right choice by accepting the job at Scroll? Do you feel that she made the right choice by leaving the same job later? How did both of her decisions impact those around her? How did her decisions contribute to or detract from her own development and sense of self and well-being? Discuss. 1. Read and evaluate A Window Opens alongside Allison Pearson’s I Don’t Know How She Does It and Maria Semple’s Where’d You Go, Bernadette. What do these books have in common? How are the characters alike? Who narrates the stories in each, and what points of view are represented? Does any one point of view stand out over the rest? What common experiences do the characters share? What overlapping themes appear among the works? What advice do the books seem to offer those juggling a host of personal and work-related responsibilities? Consider and discuss how the books offer a contemporary cultural portrait when considered together. 2. Read Ann Patchett’s essay “The Bookstore Strikes Back” from her collection This Is the Story of a Happy Marriage. Use the essay as a starting place to begin a discussion about book culture and your reading preferences. Are you “agnostic” in your choice of reading materials, as Genevieve describes Alice, or are you devoted exclusively to traditional books or e-books? Create your own design for a great reading environment and discuss your reasons for the designs you choose. Talk about how readers can help to shape, define, and cultivate book culture, publishing, and reading environments. What examples of the cultivation of book culture do you see in your own community? How do you think this could be improved upon? 3. When Alice joins Scroll, she is allowed to choose a first edition of any beloved book. She picks Virginia Woolf’s A Room of One’s Own. Read this essay. Once you are familiar with the essay, discuss why Alice may have been drawn to this work in particular. Does a reading of the Woolf essay shed any additional light on her character that we could not have gleaned from Egan’s novel alone? If you had the same opportunity to choose any first edition for your own, what book would you choose and why? 4. Start your own book club inspired by Alice. Offer your friends individualized book recommendations. Exchange the books and discuss your reasons for each choice. Ask the people receiving the books to have their own book club and to give out their own recommended titles in the same way, creating a book club chain. Can you tell us about your inspiration for A Window Opens? What were the novel’s origins? Where and how did you begin? The book has its origins in my inability to find a book like it when I was looking for one. I’m the opposite of an escapist reader—I’m drawn to stories that are relatable, or reflective of whatever my life looks like at the time. I have a long history of using fiction as a form of self help—but all of a sudden, I couldn’t find any books about women in my moment of life: approaching middle age, settled down but not settling, listening in on a conference call for work from the waiting room at the orthodontist’s office. My current decade is awash in clichés, all well represented in books: the desperate housewife, the cold-hearted businesswoman. Thankfully, the women I know don’t fall easily into stereotypes, and I decided to write a book about the ones with the nuanced, interesting, messy lives. I started writing at my daughter’s swim team practice and finished the first draft on the train home from work. I approached stealthily, cautiously, telling nobody but my husband and a handful of close friends what I was up to. I’m terrible at keeping secrets so this book was a major breakthrough for me on many levels. In your novel, Alice loses her father to a devastating illness. In Self magazine, you wrote about the illness and death of your own father. What advice would you offer those who are dealing with a sick or terminally ill parent, those who have recently lost a loved one, or those who wish to help someone who is grieving? Was there any particular literature that you turned to during this time? My best advice for all parties: be there. You can’t always be there in person but you can find other ways to show up. I was in my twenties when my dad first got sick, so most of my friends didn’t really speak the language of illness or loss—neither did I—but some of them just instinctively knew what to do. One day I was getting a haircut and my friend showed up with doughnuts. I sat there with her, getting a trim, eating a Boston cream, feeling like one of the most beloved and lucky people in the world even though my dad was in the hospital across town, fighting for his life. When I went to sit with him after the haircut, I felt galvanized. I knew I couldn’t pass along the strength this friend had given to me, but I could share her peace and kindness. Isn’t it amazing what a doughnut can do? As for books: A Year of Magical Thinking by Joan Didion, An Uncertain Inheritance by Nell Casey, The Mercy Papers by Robin Romm, and The Long Goodbye by Meghan O’Rourke. There’s no road map of grief, but these are some excellent signposts. In the prologue of your novel, we learn that Alice was enamored with books even as a young girl. Was this the case for you as well? What impact did young adult literature have on your life and your identity? What were some of your favorite young adult titles? This part of the book is 100 percent autobiographical. I was born into a family of bookworms and had no choice but to become one myself. Reading transported me from a hot, boring afternoon in New Jersey to a cool fall day on Prince Edward Island. It gave me a preview of what it might be like to have a dog or to fall in love. I read a novel set in Vermont and decided to go to college there—and in my house, this was a perfectly logical way to make a choice. Here are the books that carried me through adolescence: anything by L. M. Montgomery, with a bias for the unsung Emily of New Moon (apologies to Anne of Green Gables); A Separate Peace by John Knowles; The Pigman by Paul Zindel; The Outsiders by S. E. Hinton and anything by Lois Duncan or V. C. Andrews. Like most kids who grew up in the 1980s, I learned a lot from V. C. Andrews. Are you an “agnostic” reader, as Genevieve would say, or do you prefer the traditional printed book or e-book exclusively? What do you think is the best formula for a good reading experience? I’ll read a page, a screen, a Post-it, or a cereal box—it doesn’t matter as long as the words are interesting, engaging, and in a legible font. (Now that I wear reading glasses—if you must know—I’ve become a little persnickety about the font.) Most of the time, I read fiction in a galley or a manuscript, and when I read on my iPad, it’s usually nonfiction. I bring a bunch of books home from work every night, and I try not to check my phone on the train back to New Jersey. If I’m hooked on one after forty minutes, that’s a good sign. I definitely give preferential treatment to the books I read on the front porch with a glass of wine. Those are my favorites! What are your thoughts on traditional publishers and booksellers versus companies like Amazon,which incorporate greater technology? What role do you think technology should play in the literary world? So much depends on the reader and what kind of book they’re looking for. I loved my first-generation Kindle. Two of my three kids have e-readers—they’re great for that late-night emergency when you just have to get your hands on the next installment of the Shredderman series. I like buying my books at the local bookstore because this gives me a chance to combine my greatest passions: chatting and reading. I love the sociability of the transaction and the little bowl of Werther’s caramels by the cash register. As for technology, I’m only a Luddite when it comes to remote controls, which I think are needlessly complicated. I love the smell of pages; other people love the glow of pixels. The point is to lose yourself in a great story. How has A Window Opens influenced your current writing projects or changed the way you write? Do you think that you will revisit any of the characters or themes from this novel? A Window Opens has definitely changed the way I write insofar as it inspired me to write fiction for the first time since college—twenty years! It was fun to get back in the saddle. Much as I love these characters, I don’t think I’ll write about them again. I feel like they’ve said what they needed to say. and now I need to move on to other people—maybe ones who live in more exotic places than New Jersey so I can live vicariously. The themes in this novel are the themes of my life, so in that sense I think I will continue to write what I know. As a reader, who are some of the storytellers you find inspiring and why? Anna Quindlen, Ann Patchett, Anne Tyler—partly because my middle name is “Ann” and mostly because they tell it like it is. I’ll follow these three into any world they create. And fine, Lorrie Moore too, even if her name ruins my alliteration. You currently work as the books editor for Glamour magazine. As an editor, what do you keep an eye out for? Do your choices as an editor differ from what you would choose to read personally or do you find that your choices are closely aligned in both of these instances? I’m lucky that my reading choices align with the kinds of books we cover in Glamour: page-turning and thoughtful fiction, honest and brave memoirs, with the occasional creepy thriller or celebrity tell-all thrown in for good measure. I love stories that make me change my mind about something. What role do you think women’s magazines fulfill within contemporary book culture? What changes, additions, or improvements would you like to see in this area? I’d like to see more coverage of books in all magazines, not just ones for women. It seems to me that people are having a very hard time figuring out what to read. We’re short on bookstores, so it’s harder than it used to be to get a personal recommendation, and Amazon or bn.com still don’t really help us discover books we haven’t heard of before. So instead we see the crowdsourcing approach on Facebook and Twitter, which helps build these mega-bestsellers: Gone Girl, The Goldfinch, All the Light We Cannot See. Magazines can help spotlight other books, the ones we might not hear about otherwise. I’m as excited as the next reviewer about the “big” books, but I also like to have a chance to spotlight the unsung heroes. When Alice begins her job at Scroll, she gets to live out every booklover’s fantasy by picking out a first edition of any book of her choosing. If you had the same opportunity, what book would you choose and why? Like Alice, I would choose A Room of One’s Own. I love every word of the book and I love the memories of when I first read it. Of course, I’d cherish the first edition, but my marked up paperback from the college bookstore would always be top dog on the shelf. Elisabeth Egan is the books editor at Glamour. Her essays and book reviews have appeared in Self, Glamour, O, The Oprah Magazine, People, Publishers Weekly, Kirkus Reviews, the Huffington Post, the New York Times Book Review, the Los Angeles Times Book Review, The Washington Post, the Chicago Sun-Times and The Newark Star-Ledger. She lives in New Jersey with her family. "Elisabeth Egan’s wry, up-to-the-minute social comedy perfectly captures the harried life of a working mother who is, by necessity, on call 24/7 in every sphere. Filled with humor and heartbreak, this acutely observed debut is compulsively readable." "An instant classic. Egan manages to be wise, honest, poignant and laugh out loud funny about marriage, motherhood, daughterhood, and that ever elusive concept: having it all. If you're a fan of characters like Bridget Jones and I Don't Know How She Does It's Kate Reddy, prepare to fall madly in love with Alice Pearse." "... a fun, breezy read... a heartfelt and sometimes funny look at all sorts of change: From marriage, to loss, to parenting, to the future of media." “...a charming novel. By the end of it, I so loved Alice, the main character, that I wished she were real and we were pals…It's a joy to experience the year with Alice, to see her come into herself and by the end to wonder what happens next."